Small hanging capacitor cardioid microphone for unobtrusive stage use. The BM 190 stage microphone is a compact member of the micon series of studio condenser microphones. 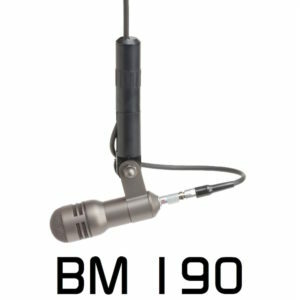 The BM 190 comprises a BMK 190 microphone capsule and the BMV 190 microphone preamplifier. A classic 48V phantom powered condenser microphone design, the BM 190 ensures a high degree of intelligibility and clarity for speech, vocals and music, also when used in less favourable acoustic conditions. The design makes it particularly suited to suspension above stages. Sound engineers in Theatre, Opera and Television will be particularly impressed by the visually unobtrusive appearance of the microphone. 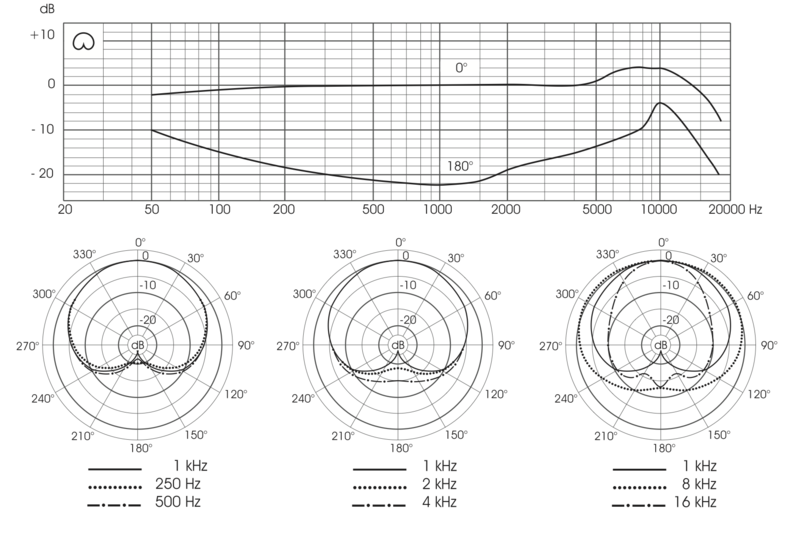 Use of a special capsule with a cardioid characteristic achieves excellent attenuation of undesired acoustic interference in the vicinity. The suspension coupling provides a secure positioning and precise orientation of the microphone. The microphone has a balanced frequency response and ensures a neutral capture of sound. The electronic circuitry employed generates a negligible noise level. The low output impedance means that XLR cable extensions can be used where required. The stage microphone capsule is attached to the suspension coupling with a swivel clip. 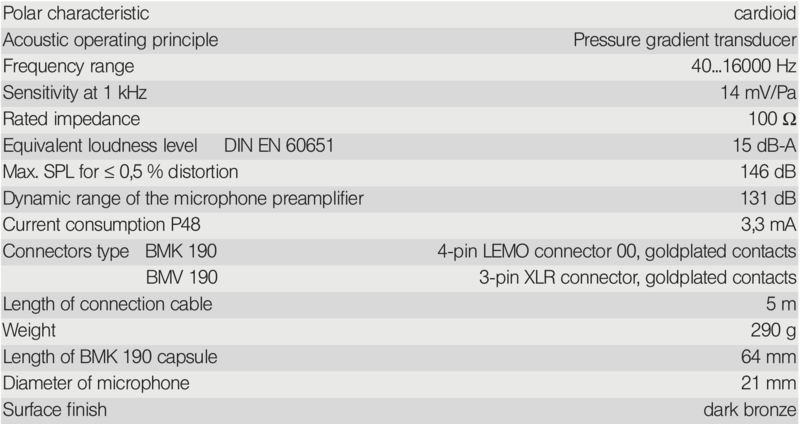 After connecting to the microphone capsule, the connecting cable is plugged into the BMV 190 pre-amplifier and the microphone is powered from the 48V phantom power supply via a 3 pin XLR.